A rendering from City Planning's literature on economic development in East New York, the first neighborhood rezoned under Mayor de Blasio. At a convening held Monday at NYU, advocates, researchers and officials from high-cost cities across the country shared policy solutions to the growing problem of residential displacement. As the event unfolded, however, disagreements began emerging between New York community groups and members of the de Blasio administration about the extent to which public and private investment in an area can trigger displacement. One participant asked whether BQX, the administration’s proposed street rail that would connect Astoria to Sunset Park, could result in displacement of low-income residents. Participants had just learned that in Seattle, housing advocates are working to ensure their government recognizes the effect of investments in transit expansion on displacement. Meanwhile, as Portland plans a new bus line for its east side, it has commissioned a study on the project’s potential effect on displacement, and a city-convened committee has developed an anti-displacement strategy for the area. Regarding BQX, however, De Blasio officials were somewhat dismissive. 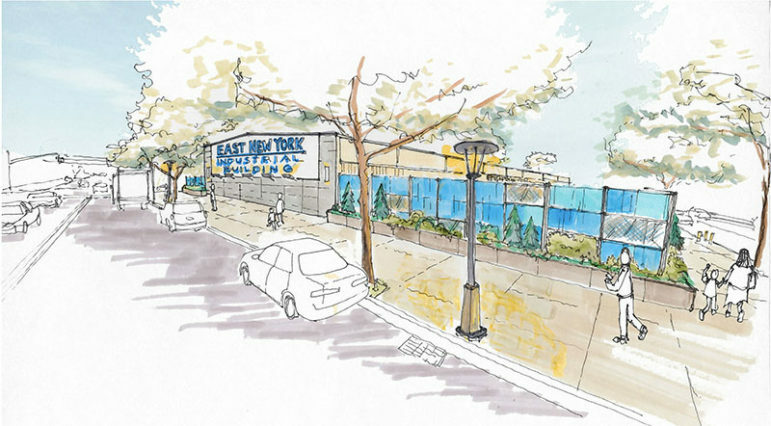 “I don’t see a displacement connection as much as I see a connection with bringing communities to jobs,” said Department of City Planning Director Purnima Kapur, while Vicki Been, Commissioner of the Department of Housing and Preservation, said concerns about displacement would be discussed during the city’s environmental review process for the project. Participants also expressed varying views on the extent to which the arrival of new market-rate housing in a low-income neighborhood contributes to displacement—a dispute partly rooted in a dearth of research on the link between a neighborhood’s rising incomes and displacement. While many studies do not show a connection between rising rents, increasing numbers of high-income residents and higher rates of outflow by low-income residents, researchers at the convening said the majority of studies were conducted in the 1990s during the early years of urbanization and that new research is needed. A recent Philadelphia study shows that while low-income people leaving non-gentrifying neighborhoods tend to move to better areas, low-income people leaving gentrifying neighborhoods are more likely to move to disadvantaged neighborhoods. Researchers at the conference said that similar research is needed in New York. Kapur and Been said while many tools are needed to prevent displacement, including prosecuting bad landlords and using mandatory inclusionary zoning to create affordable units, increasing the housing supply is an important component of any anti-displacement plan. Calling out critics that did not support the city’s first mandatory inclusionary housing project in Inwood, Kapur stressed that the city needs development to address the imbalance between housing supply and demand. “Displacement…is not just happening where people’s incomes are going up. Broadly that’s where it’s happening, but rents are going up everywhere…It’s not like new wealthy people are moving into these neighborhoods that are displacing people that are there,” she said. HPD Commissioner Been, while recognizing displacement as a significant issue, also emphasized the value of integrated neighborhoods and said it was important to discuss the tension between those two aims. “Anti-displacement, if it keeps the community exactly the way it is, that is not economic integration,” she said. Yet Been also sold the merits of the city’s community preference policy, which gives residents of a community district preference for half the units in city-subsidized affordable housing developments in that district. Some advocates would like to see that policy abandoned to further opportunities for racial integration, while others want to see the percentage expanded to secure people’s opportunities to remain in their communities. It’s long been a question on the minds of Bostonians too, according to Devin Quirk of the Boston Department of Neighborhood Development; the city currently awards preference to Boston residents and Urban Renewal displacees, but not residents of specific neighborhoods. San Franciscans are also pondering their options now that HUD has rejected that city’s new neighborhood preference policy. Portland has come up with one solution: in one gentrified, historically-black neighborhood, the city uses a point system to rank all applicants on a waiting list for affordable units. Points are awarded to residents of that neighborhood that are at risk of displacement, that have been displaced already, or are descendants of families have were displaced due to urban renewal in that neighborhood. The policy ensures that those who have been hurt the most by public and private investment are given the opportunity to return to their community—but would mostly like resist a fair housing challenge because it applies only to a particular, already gentrified neighborhood. Monday’s convening, hosted by Local Initiatives Support Corporation New York City (LISC NYC), the NYU Furman Center and the Federal Bank of New York, was titled “A Convening about Neighborhood Change, Displacement, and Equitable Development.” Organizers purposefully left gentrification out of the event’s title to steer the focus away from debates about the merits of wealthy neighbors, and toward solutions to ensure low-income residents can stay in their communities. Yet with the cause and definition of displacement still such a topic of debate, it became increasingly clear, as some panelists pointed out, that you just can’t talk about displacement without talking about gentrification. City Limits’ coverage of housing and development is supported by the New York Community Trust and the Charles H. Revson Foundation.